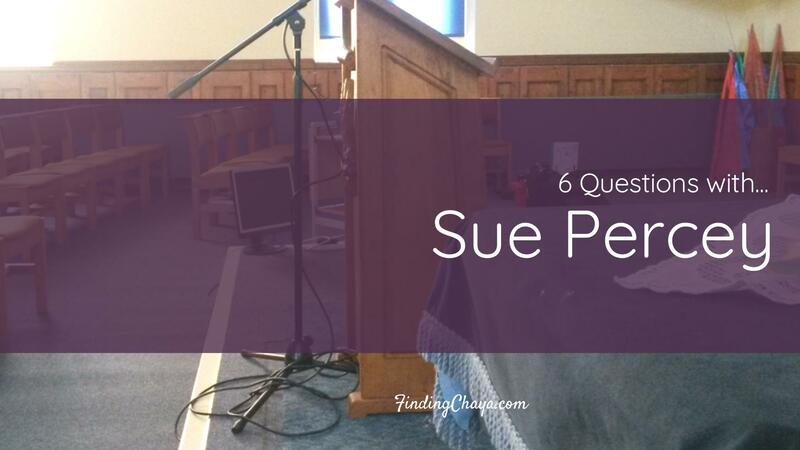 Hi I’m Sue, I was born in 1957 so that means I’m the grand old age of 60!! I’m married and have 2 grown children and am doubly blessed with 3 grandchildren. Before I was a Baptist Minister I was a Nurse for 35 years. I loved my job and left it because I felt God calling me to something different. I love to spend time with my family, which includes my Mum and my brother and sister. I have a cat called Mabel, who a few years ago had 5 kittens – that was such an exciting thing to see! I enjoy coffee with friends, family holidays, reading, knitting and a glass of wine! 2. You are a minister in a small church. What are your favourite things about being part of and leading a small community/church? I love my role as the Minister of Warminster BC. It is a community of open hearted people. For me people are the most important part of my role. I am blessed to be part of such a diverse family of God’s people. One of the best things of being in a smaller church is that you can get to know everyone quite quickly. It’s been easy to settle here. 3. You’ve lived in Andover and Salisbury, both of which are larger towns and cities. How does living in a more rural area/smaller town compare? At heart I’m a small community person – Andover, where I was born and brought up, was a small market town and Salisbury is a small city, so I feel very much at home in Warminster. I love to visit large cities but wouldn’t want to live there. I like to know my neighbours and have a chat on the way to my door. 4. Before becoming a minister, you trained as a nurse/midwife. What advice and experiences have you taken from that role into your ministry? Having been a nurse has given me a grounding in how to be with people in the best and the worst of times. It’s a real privilege to be part of peoples’ joys and sorrows – I never take that for granted. Every person I’ve come into contact with has taught me something about life and myself – that is very transferable to my present role. I’m not generally fazed by life events. 5. When you joined your current church, it was clear that your ministry was part of a team mission with your husband. What advice would you give to the next generation when looking for someone to partner with for life and ministry? My husband is my closest friend – it sounds cliched but it’s true. It means when we have hit hard times we still have each other as friends. We also have our faith in common – it’s important to both of us. We still make each other laugh and for me, he always is on my side, even if I’ve messed up! My advice would be to forgive quickly – don’t hold grudges. Look for the good in the other – it helps when they annoy you! 6. Along with being a much-loved minister, you are a mother and grandmother. What advice do you give your children and grandchildren about their walk with God? Faith is a very personal thing. Both my children and their other halves are Christians. Each of them engage with God in a different way. That is what is so great about God – he made us unique! My advice would be to them to look for God in the everyday – in the small things as well as the big! In each person they see. As for my grandchildren – they are delightfully in tune with God – they enjoy nature and wonder at the tiny things. I hope they never lose that joy. I want them all to know that God loves them very much…and so do I!